This is an interview with Momona Kitamura, the North Tokyo Youth Championship 2018 champion. Momona qualified for the Japan Youth Championship 2018. A tournament Keisuke Fukuchi won, and he then won the World Championship 2018 in Prague. 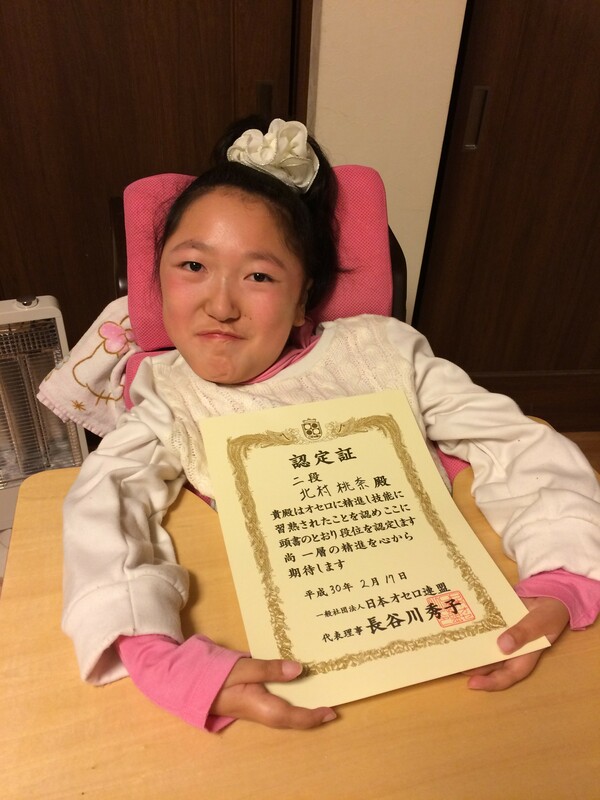 Momona Kitamura is one of many Othello players with an disabilitie. It make it more difficult to attend to tournaments, practice and for some players also difficult to flip discs. This article is to encourage all players to continue play, try to reach their dreams and goals. Momona: Yes! My only pleasure was to play with DS because I can hardly move my body because of severely disability. Since I started playing Othello, my life has changed completely and Othello become the core of my life. 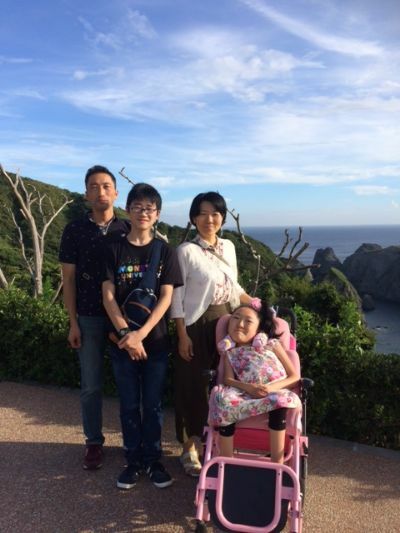 Momona: I think it is not much of a victory, but I have got attention as the person (Othello player) with disabiltity, and also newspaper and net news wrote about me, and since then Many people have come to talk to me. Momona: During Othello break, I usually look for, and play, various games from Yahoo Kids. WOF: Do you have any tips or words of encouragement for people just getting started with Othello? Momona: Never give up even if you lose the game, It’s important to continue patiently. If you make efforts to the goaldriven by regret, then you will definitely get stronger! WOF: What advice should you give others who wish to play Othello, and also attend tournaments, but are not sure they can do that because of their disability? Momona: Anyone can play Othello! Even for a disabled person who can’t take a sitting position, who can't move their own arms like me, It’s possible to play Othello with Caregiver(^-^). Also even if it is hard to participate in a tournament, you can play with various people on your tablet or PC at home. with listening to the lecture, and solving the quizz, you can also study Othello at home. And then when I come to achieve my goal, I am very happy! Kitamura family; from left to right in the family photo: Dad: Masaya Kitamura, Elder brother: Harunari Kitamura, Mom: Miyuki Kitamura, Younger daughter: Momona Kitamura.